Forbes says Rav Pinchas Abuhatzeira's personal wealth is NIS 1.3B, Admor of Gur's is NIS 350M. The personal wealth of Rav Pinchas Abuhatzeira, great-grandson of the Baba Sali, is estimated at NIS 1.3 billion, according to an investigative report by the Forbes financial website. 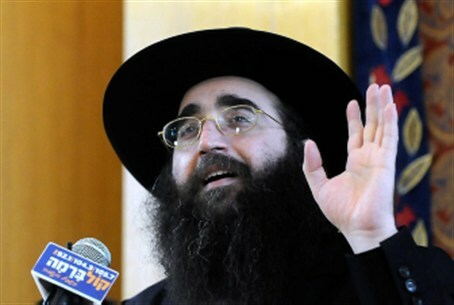 The rabbi inherited most of the money from his father, Rav Elazar Abuhatzeira, who was murdered last year. The wealth of Rav Pinchas's uncle, Rav David Hai Abuhatzeira, is estimated at NIS 750M. The fortune of the Admor of Gur is estimated at NIS 350M. The Admor of Belz's financial holdings are NIS 180M, the site estimated, and the wealth of Rav Nir Ben Artzi is estimated at NIS 100M. Both Rav Yaakov Ifargan (known as "the X-Ray" for his mystical powers) and Rav Yashiyahu Pinto are believed to have financial holdings of about NIS 90M.